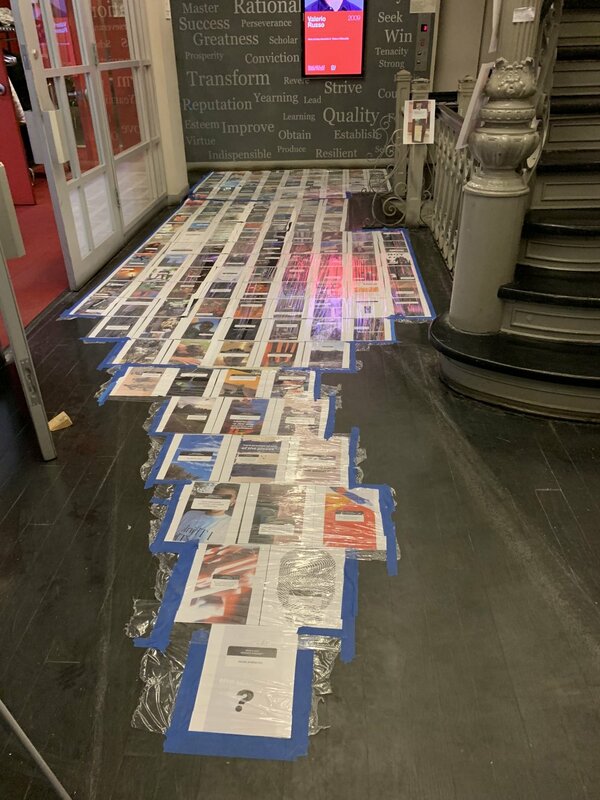 Hanging poster installation from first solo show (September 2018). The Living Gallery, Brooklyn, NY. 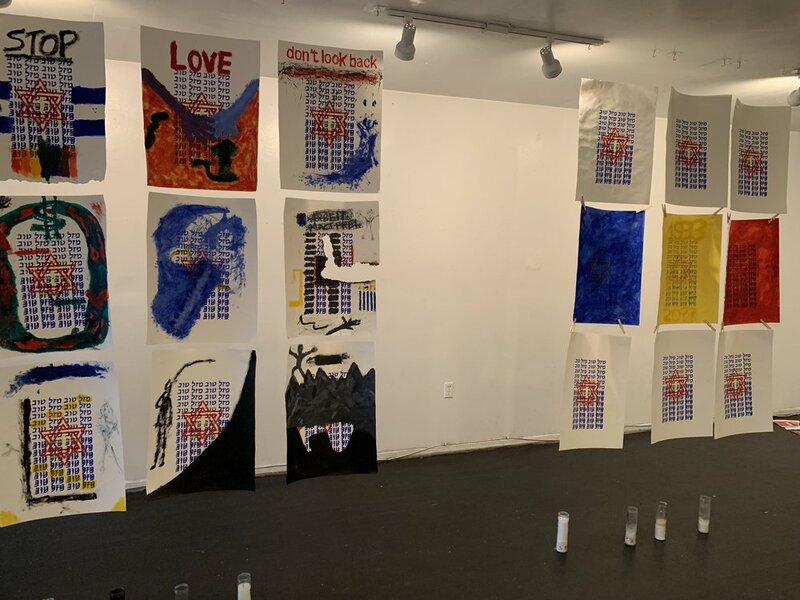 “180 SWASTIKAS” installation at Macaulay Arts Night 2019 (March 30, 2019). Macaulay Honors College, Manhattan, NY. Questions from “? * : a social media-based social experiment” installation at Macaulay Arts Night (March 30, 2019). Macaulay Honors College, Manhattan, NY. Responses from “? * : a social media-based social experiment” installation at Macaulay Arts Night (March 30, 2019). Macaulay Honors College, Manhattan, NY.